George Groves and Ricky Burns have now added their names to the growing list of boxers who have left Frank Warren Promotions over the years. Amir Khan, Ricky Hatton, Joe Calzaghe and Kell Brook are just a few of the names who grew tired of Frank Warren Promotions and moved on to other promoters or to start their own promotional companies. So why should these latest defectees concern Frank? Well George Groves immediately signed with rival promotional company Matchroom Boxing, the number of postponements for his “bigger name” fighters, the criticism from the Burns, Bellew and Mitchell camps in recent months, the rumours that he isn’t paying his fighters on time and not to mention his TV channel, BoxNation, doesn’t seem to be the success he was hoping for. 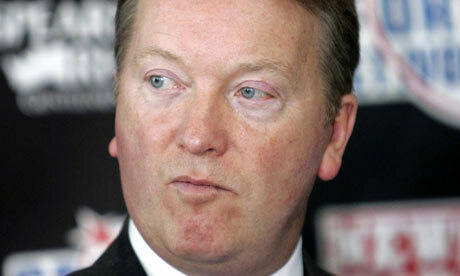 Frank Warren should also be concerned of the growing popularity of Eddie Hearns Matchroom Boxing”. The two have had a bit of back and forth in the press recently and it’s the quote below from Frank Warren that I find most interesting. “That’s why my fighters get home advantage when they fight, very rarely will I take them on the road unless I really fancy the job or they’re getting fantastically paid. The quote above tells me that Mr Warren is completely out of touch with the average boxing fan. I think the majority of boxing fans applauded the fact that Eddie Hearn took his fighters abroad and took on the tough challenges, giving us fans the sort of fights we want to see. In Darren Barker and Gavin Rees they went out to America, fought on HBO and took on Martinez and Broner, the best guys in their respective division. But in Frank Warrens eyes, that’s hurting the business. Forget giving the boxing fans what they want. In my opinion, Barker and Rees earned more respect for taking those fights than someone like Nathan Cleverly has earned in his whole career to date. There’s nothing to be gained from padding out a fighters record against bums. Oddly enough Warren could be accused of doing the same with Derek Chisora when he put him in against the likes of Fury, Vitali, Helenius and Haye. I didn’t hear Warren coming out and talking “business” then. I just don’t think Warren can cut it any more as a promoter, I don’t think he knows how to build fighters any more. 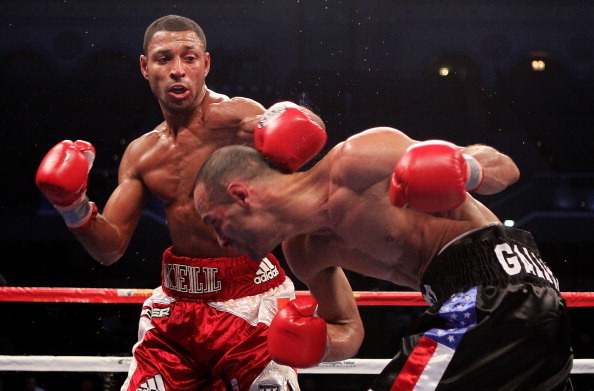 You only have to look at the success Kell Brook has had since moving on from Warren. He’s selling out arenas in Sheffield, he’s fighting on Sky Sports and he’s got a world title shot. Instead he’s got fighters leaving him left, right and centre, his fighters aren’t anywhere near active enough, fight after fight being cancelled, fighters not being paid on time and a whole host of other issues that I can’t really touch upon as I don’t have any concrete proof but it’s safe to say that things really aren’t going right for Frank Warren. Fighters seem to do much better elsewhere and if I was a boxer under Frank Warren Promotions, I’d certainly be considering my future. So are we, the British boxing public, witnessing the demise of Frank Warren Promotions? Well who saw that one coming? I for one certainly didn’t but I’m happy as Larry that I was there to see the demolition. Carl Froch claimed the IBF super-middleweight title after destroying Lucian Bute inside 5 rounds to in his home town of Nottingham in the early hours of Sunday morning. Froch was the underdog going into the fight, with many feeling the Romanian champ was too slick for the British warrior. But Froch shocked the boxing world, not by simply defeating the undefeated Bute but by demolishing him in a performance full of power, determination and focus. Backed by a capacity and raucous crowd, started quite tentatively with neither throwing too much as they felt each other out. Froch landed with one or two more flurries and in my opinion took the first round. Again there wasn’t much to talk about for most of the second round but in the final minute or so Froch landed some shots on Bute that momentarily worried the champ and had him clinching Froch, who won round 2 in my opinion also. Things really picked up round 3. Bute actually started quite well, landing a few solid shots on Froch before the Nottingham man turned up the heat. After he was tagged by Bute, Froch pushed forward and “bum-rushed” But landing left and rights which caused the champion to back up onto the ropes and invite Froch onto him. That was definitely a big mistake on Bute’s part and Froch hammered away with lefts and rights, with each punching drawing a loud response from the Nottingham faithful. Bute, whose legs seemed to have gone, grabbed onto Froch and then, idiotically, backed himself up into another corner and allowed Froch to tee off again before clinching again. It was a pattern that continued through to the end of the round, with Froch teeing off as Bute lay against the ropes and clinching whenever he got the chance. Even though there was no knock down, there’s no doubt in my mind that it was a 10-8 round to Froch. Bute deserves a bit of credit for sticking in there but as walked back to his corner after round 3, any confidence he had going into this fight was visibly gone from the Canada-based champ. Round 4 was fairly even, that is until the final 20-odd seconds. Froch charged Bute, who was against the ropes, and proceeded to hammer away with the bell saving Bute from his first loss. Bute struggled to find his corner following that attack from Froch and I was surprised his corner didn’t pull him out then and there. 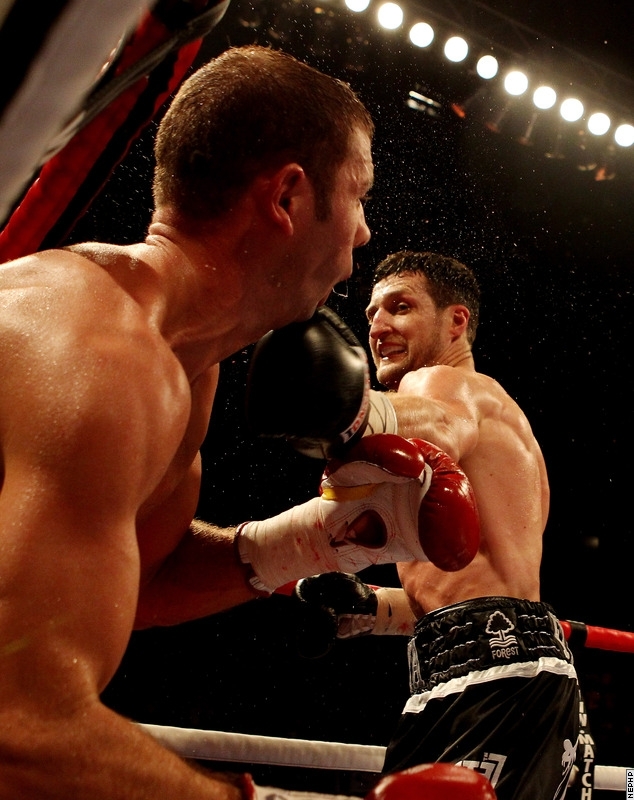 However Froch wasn’t to be denied on this night and he jumped on Bute from the very first second of round 5. Froch stalked his opponent around the ring and backed him up onto the ropes before unleashing a barrage of power shots that had Bute’s rocked Bute’s had back numerous times. The referee jumped in and looked as though he stopped the fight, only to attempt to give Bute a standing 8 count as the champ struggled to keep himself upright. But that was all immaterial as Bute’s corner walked into the ring to retire their fighter out and end the contest, to give Carl Froch his third world title. Here are a few videos to get fans in the mood for Carl “The Cobra” Froch’s fight against IBF champion Lucian Bute. 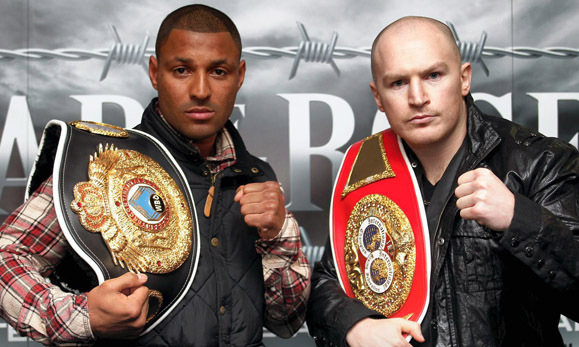 The fight takes place Saturday May 26th at Nottingham’s Capital Arena for Lucian Bute’s IBF super-middleweight title. More video’s will be added as they become available.